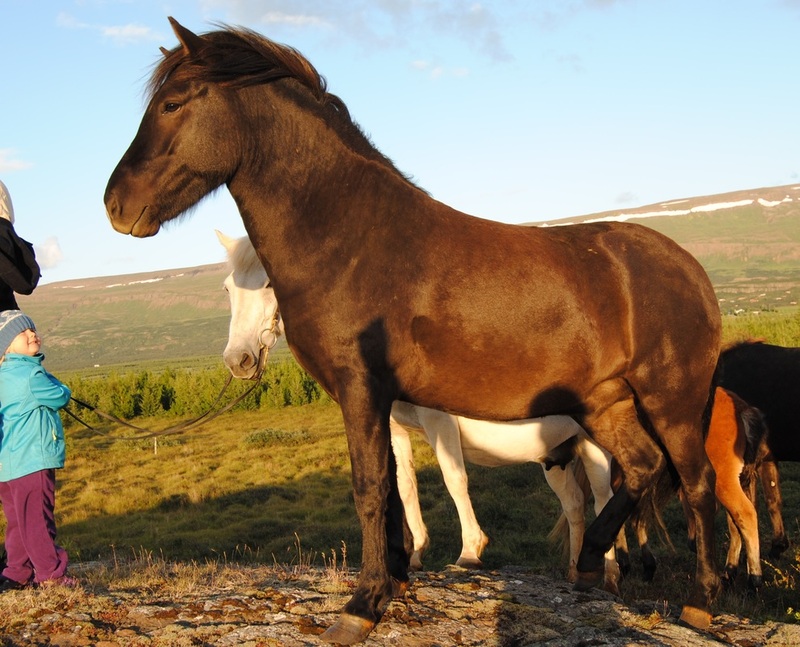 Full sister of our best breeding mare, Edda frá Egilsstaðabæ. 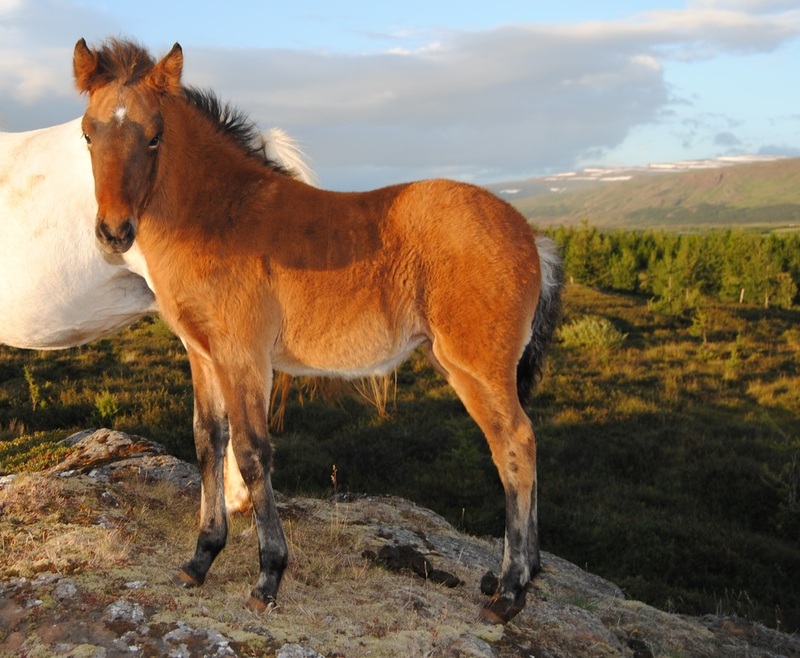 Edda got 9,0 for tölt, trot and spirit in breeding judgement at Landsmot in the year of 2012, then only four years old. Alsystir Eddu frá Egilsstaðabæ sem fékk 9 fyrir tölt, brokk og vilja/geðslag aðeins 4 vetra gömul árið 2012. 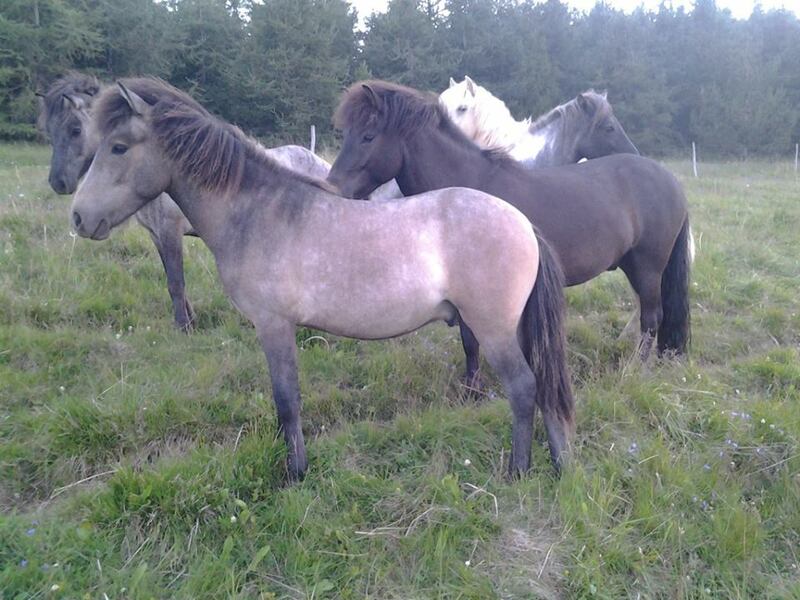 This marefoal has excellent pedigree and a future prospect as top breeding mare. 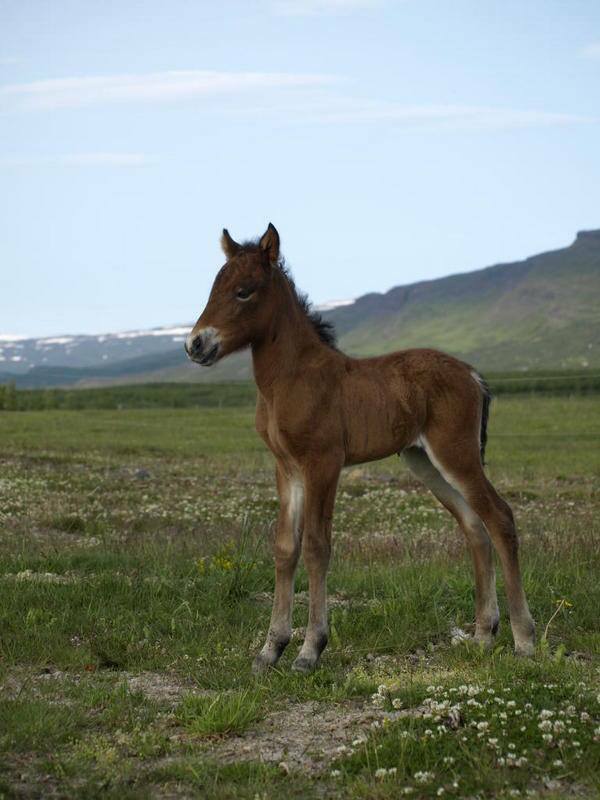 Father: Smyrill frá Úlfsstöðum (BLUP 121, 1 price parents. Fivegaited stallion prospect. Neck and shoulders look promising along with elegant and soft movements. Toft will be gray or almost white. Júdit er stór og framfalleg hryssa. Hún hefur verið tekin á hús og gerð band- og hnakkvön. Klárhryssa með fótaburði, og líklega nokkuð laust tölt miðað við hreyfilag. Júdit is a big one with good neck. She is used to be tamed and has been lounged with saddle few times. 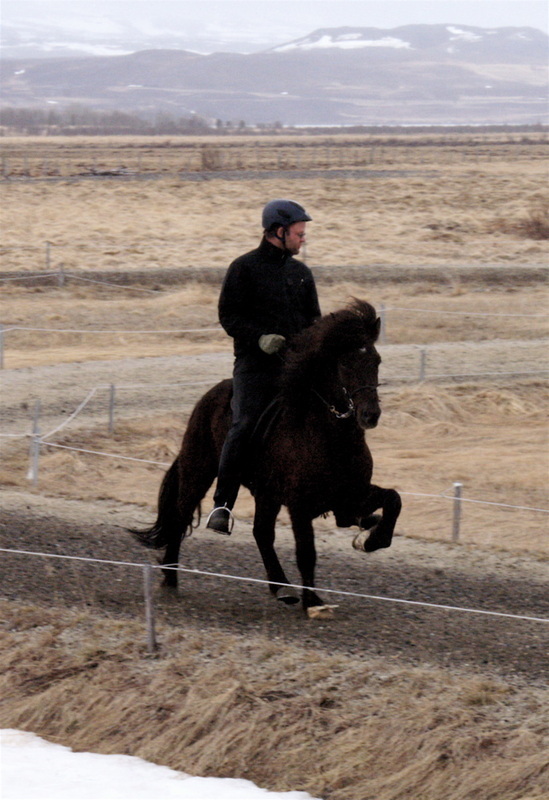 Fourgaited mare with high leg action. Máni er skemmtilegur gaur. Augljóslega með hið góða geðslag sem margir eru að sækjast eftir. Hreyfingafallegur og stór hestur, sýnir fína takta á gangi í haganum. Töltir bæði og brokkar undir sjálfum sér og finnst okkur gaman að hann hleypur alltaf til girðingagesta fyrstur hrossa og unir manninum vel. Semsagt algjör kelirófa. 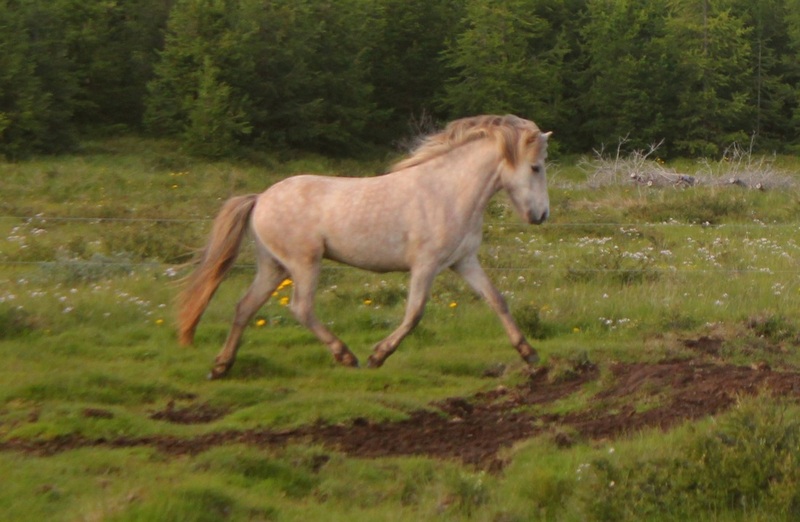 Máni is a fun horse to be around with. Obviously he has the good character many of us are seeking for. Beautifull movements along with high shoulders, makes him look beautiful on our grounds. He tolts and trots under himself and it´s always nice to see when he runs to field visitors first of horses and seems to love the presence of humans. Lyngdal er hreyfingafallegur og lifandi foli. Talsvert stór miðað við aldur og sýnir tölt og brokk undir sjálfum sér. Líklegast er þarna á ferðinni framtíðargæðingur, sé miðað við hreyfilag, geðslag og byggingu. Lyngdal has beautiful movements and gives sparkles. He is tall at his age and shows tolt and trot under hims self. Most likely he is a future compitition horse if you take point of his movements, temprament and building - wich all is promising. Arngrímur er efnilegur fimmgangshestur, hreingengur og mjúkur á tölti. Hefur gott geðslag og er öruggur í allri umgengni og reið. Tölt, fet og stökk eru hans sterku hliðar og bætir sig jafnt og sígandi. Brokkið er ennþá óöruggt og þarf að þjálfa betur. Skeiðið er fyrir hendi og tekur hann ágætlega í það í þau nokkur skipti sem prófað hefur verið, mjög efnilegir sprettir. 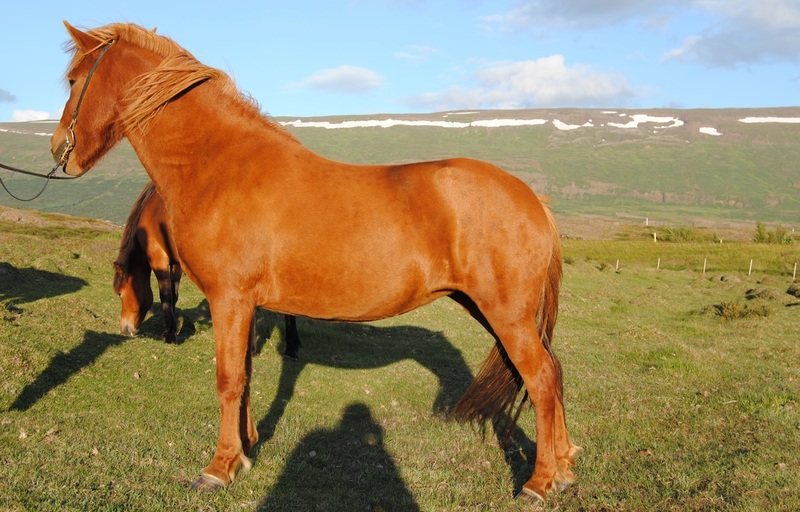 Arngrímur is a talented five-gaiter, with lot of clear-beated tolt. He is totally secure, and has the very best character. Tolt, walk and gallop are his better gaits and still improving. Trot is still insecure with lack of balance. Pace has been tried few times and is promising. Lektor er góður og 100% öruggur reiðhestur fyrir næstum alla. Hann hefur einstaklega takthreint og ásetugott tölt. Hefur verið mjög auðveldur frá upphafi tamningar, og höfðingi í allri umgengni. 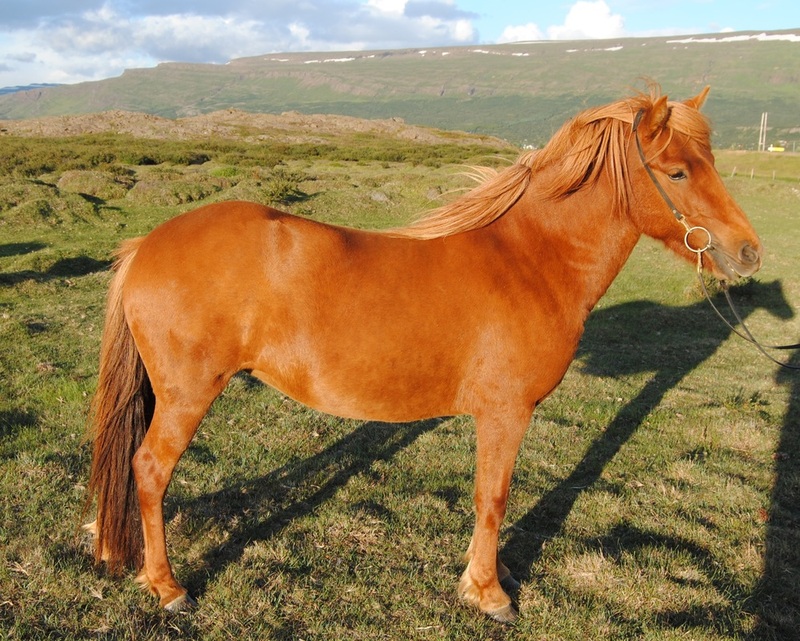 Lektir er is a good riding horse and very secure for almost everyone. 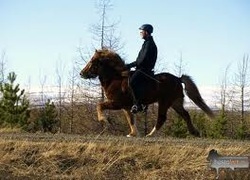 He amasing clear beated tolt wich is nice to ride and comfortable. He has been very easy all since he was broken in and is real gentleman in every aspect.